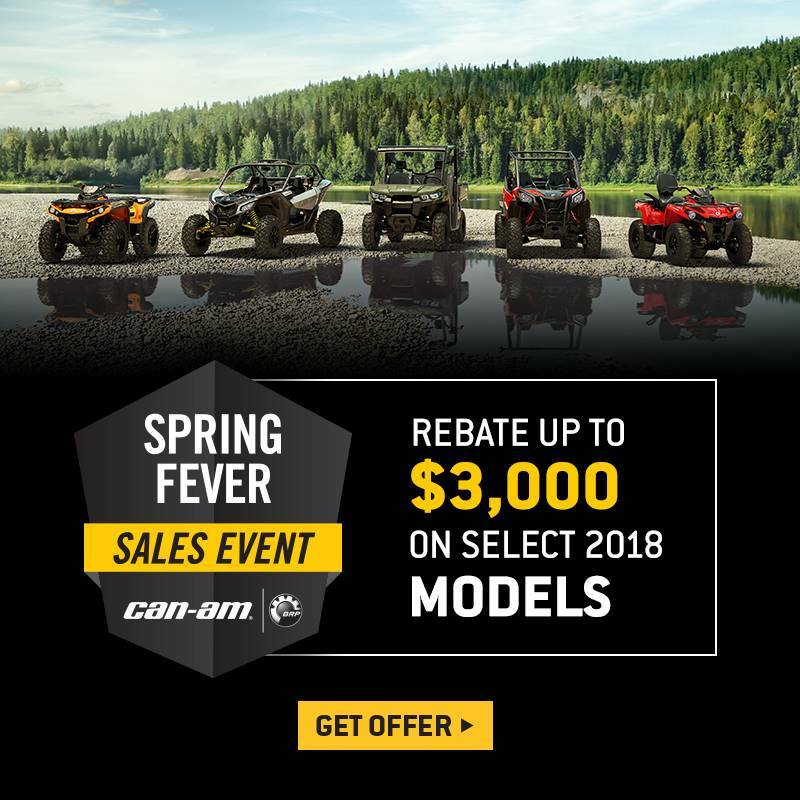 Put yourself behind the wheel of Can-Am's versatile side-by-side equipped with Tri-Mode Dynamic Power Steering (DPS) for control when tackling off-road routes everywhere. ROTAX V-TWIN ENGINE: Take command of a thrilling 71 hp Rotax® 800R or 92 hp Rotax® 1000R liquid-cooled V-Twin engine with four valves per cylinder and single overhead camshafts featuring twin fuel injectors that optimize fuel delivery into the combustion chamber for powerful yet precise performance. INTELLIGENT THROTTLE CONTROL: The Can-Am Intelligent Throttle Control (ITC) throttle-by-wire system ensures smooth power delivery via precise control of its 54 mm Bosch† throttle body—even if the driver's foot is bouncing due to rough terrain. ITC detects unwanted bounces and filters the input, with selectable progressive and Sport modes. 27 IN/ MAXXIS BIGHORN 2.0 TIRES ON 14 IN. CAST-ALUMINUM WHEELS: The lightweight radial tires offer a smoother ride, predictable cornering and optimum climbing confidence. They are mated to cast-aluminum wheels that feature a strong yet lightweight construction.